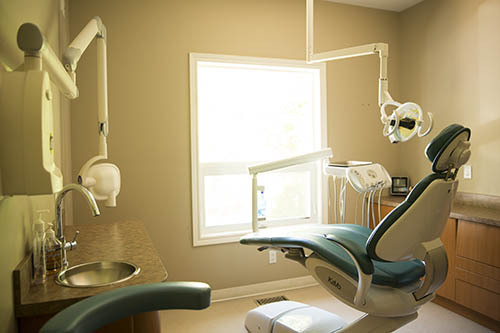 At Dentistry in Gravenhurst our team believes that dental hygiene is the foundation of overall health. One of the most effective ways to prevent the decline of your oral health is to have your teeth professionally cleaned by one of our hygienists on a regular basis and practice effective home care. What people don’t know is that gum disease, not cavities is the number one cause of tooth loss. We have implemented a very thorough system using live microscopic analysis. By using the live analysis our hygienist are able to determine the amount of harmful bacteria present in your mouth. This allows them to determine the best preventative options available for you to prevent and stop tooth loss due to gum disease. Our goal is to help you maintain your oral and overall health for a lifetime.